I made this a while back, when we had an abundance of home-grown pumpkins, care of my parents veggie patch. Now we have a couple of little pumpkin seedlings of our own planted, so all going well, in a few months’ time there’ll be pumpkins aplenty again. It’s not that they’re expensive or hard to come by, but nothing compares to the veggies you grow yourself. Currently we’re harvesting our own lettuce and herbs (grown from seed), but we’re hoping to increase that soon. I bought Steve a whole heap of organic seeds for Father’s Day (from the furkids), and now he’s got more free time I’m expecting to see some serious planting! We’ve currently got tomato, capsicum, chilli and kale seedlings that we grew from seed, and a few other bits and pieces on the go. Fry the onion and garlic in a little oil, then add the tomatoes and stock. Bring it to the boil and simmer for about 15 mins, then add the cornflour to thicken it a little. 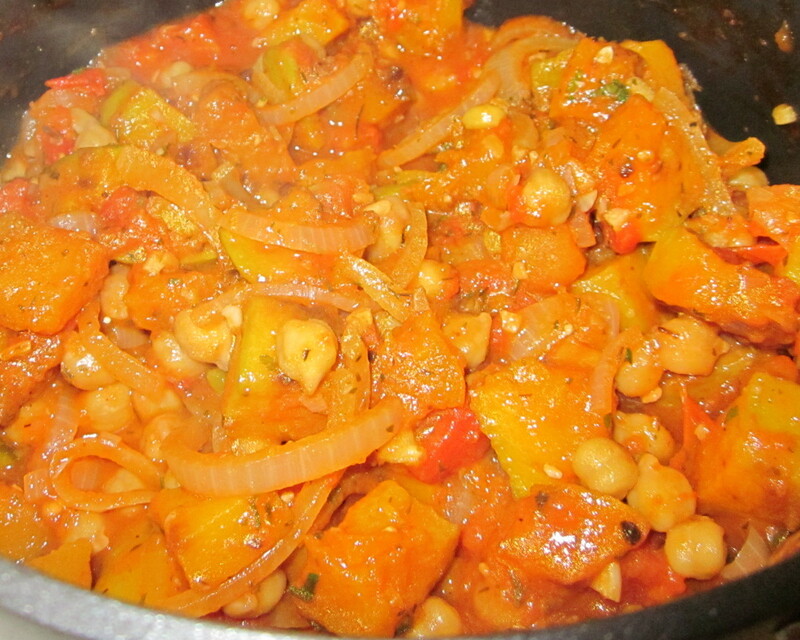 Finally add the chick peas, pumpkin and sage and cook until it’s all warmed through. Stir through the cooked pasta of your choice and serve. We had it with crispy baked potatoes and leafy greens. 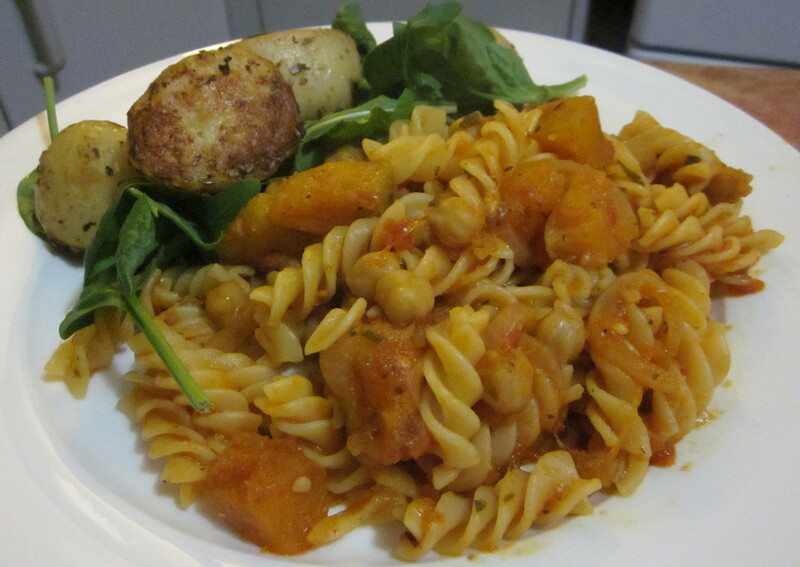 Pumpkin pasta with baked potatoes and leafy greens.